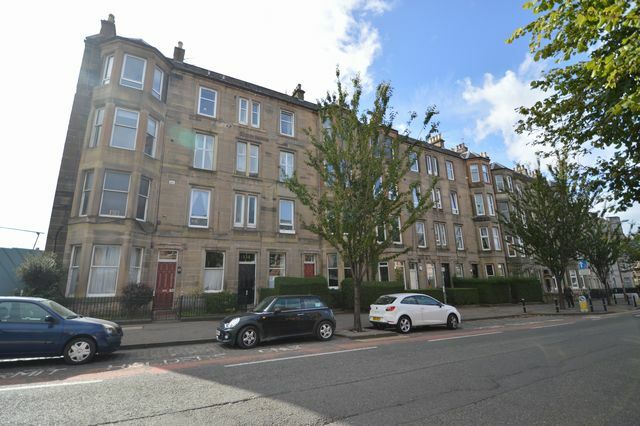 Freshly decorated 1bed, top floor flat in the desirable area of Broughton. This furnished property offers a large, well decorated double bedroom with sufficient storage space and new floor coverings throughout. Separate contemporary fully fitted kitchen with modern appliances. The living room is a large spacious room with a large window. Further benefits include free parking along with a separate area for permit parking, double glazing, gas central heating and a communal garden. The Broughton area is to the East of Edinburgh City Centre, West of Leith Walk and South of Pilrig. Its in a central location and is on the edge of Edinburgh New Town. EPC RATING D. Landlord Registration Pending.